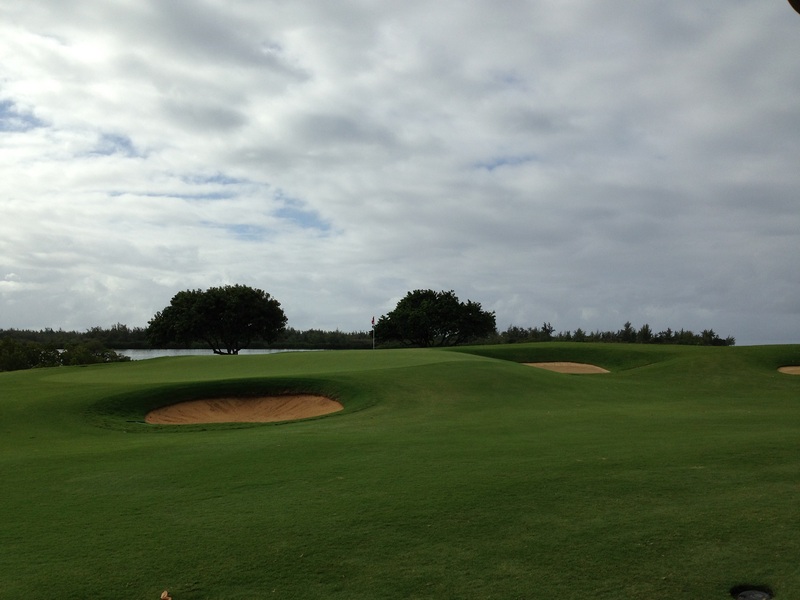 This Ernie Els designed championship golf course is one of the finest on the island of Mauritius. Unlike the older, more established courses on the island, the Four Season Golf Club is rather open, with wide fairways and plenty of space off the tees. 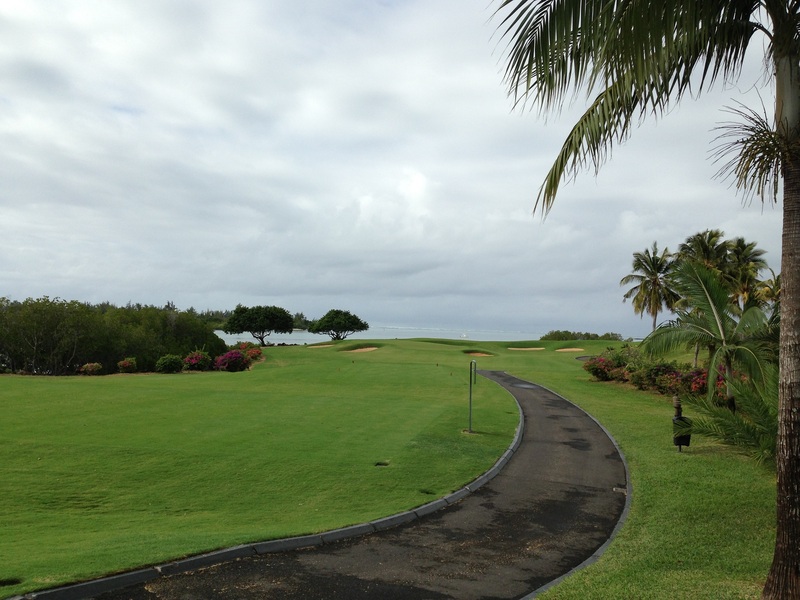 Because of the openness, this course is much longer than other courses we played in Mauritius. And that is part of its appeal. 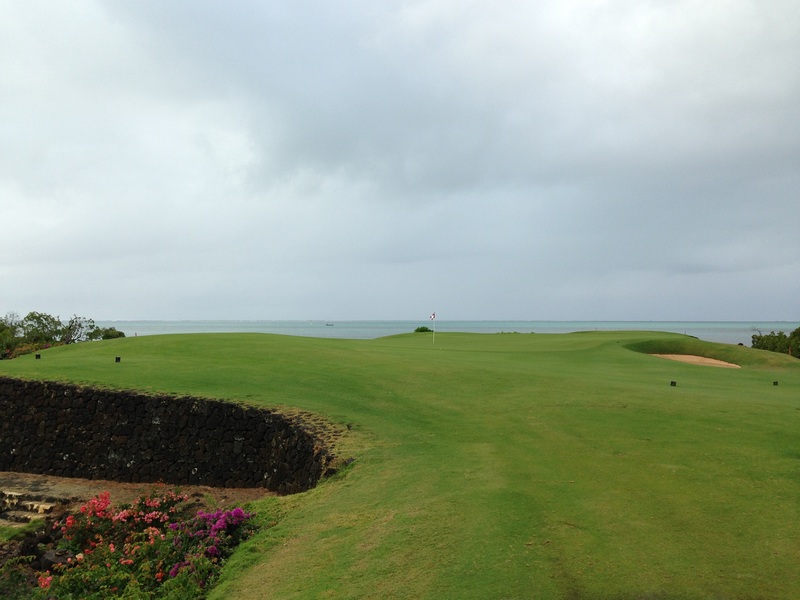 All the other courses on the island share so many similarities and Anahita’s course is completely unique. 4th Tee at Four Seasons Golf Club Mauritius at Anahita. Built on a beautiful estate, the fairways are lined with thick rough. If the course isn’t flanked with exquisite homes, then there is a mixture of tropical trees that will swallow up really wayward drives. Despite the length, Anahita is not extremely tough and rewards golfers of all skill levels. 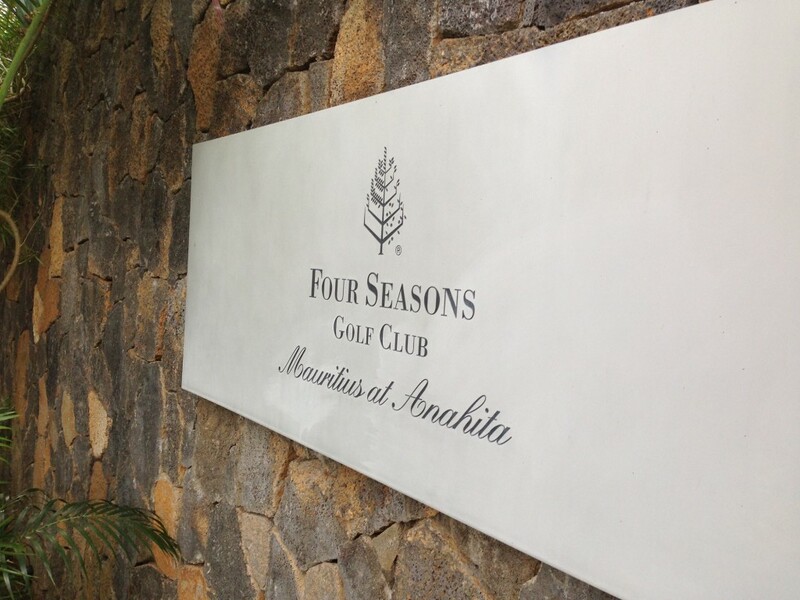 If you are looking for a golf holiday to Mauritius, make the Four Seasons Golf Club at Anahita your base. Not only will playing there allow you to shoot a handicap beating score, but the service and location is second to none. You are a short boat ride from Le Touessrok and only a few minutes from other courses. The finishing three holes at Anahita are some of the finest closing holes we have ever played anywhere in the world. The 16th, 17th and 18th offer three different challenges, three different pars, but one thing they all have in common is their beauty. The par 5 fourth hole is the signature hole on the front nine. 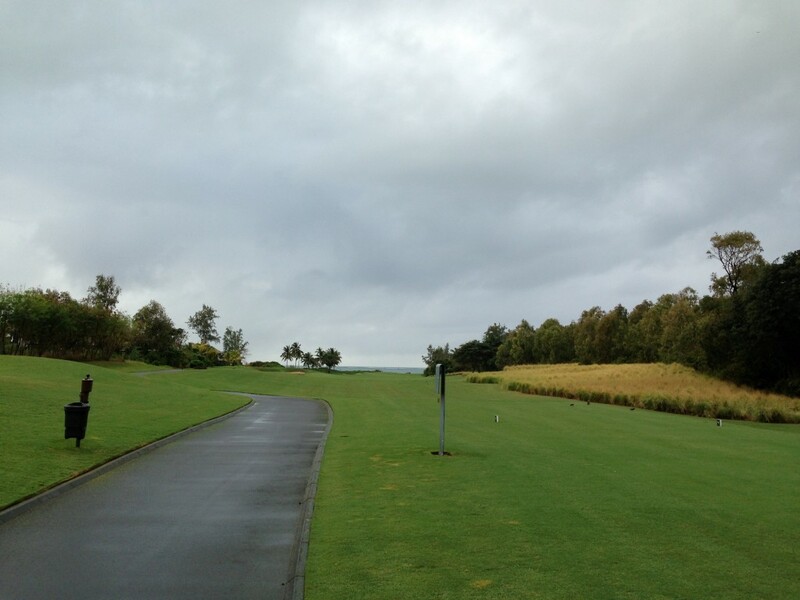 Standing on the tee box, in front of you sits splendid views of the Indian Ocean. Behind you is a sweeping view of the island of Mauritius. As you line up your tee shot, there is danger on both sides. Homes to the left and thick bush to the right means your tee shots needs to be straight (ish). The fairway is a big wide target and if you make the short grass, going for the green in two is a big risk. The green is almost an island green, surrounded by water, mangroves and bunkers short and long. The green is not very big either, so the wise play on this hole is to lay up to you strong distance and put a wedge in close. Missing the fairway off the tee will leave you in some very thick rough, which then removes the temptation to go for it in two. However, it will also making laying up a challenge as the rough is the kind of long grass that literally grabs your club and takes hold of it. The degree of difficulty on this hole is medium and the sensible golfer can easily make par. Birdie is a much tougher task, but with the views on offer, most would even be happy with a 10. 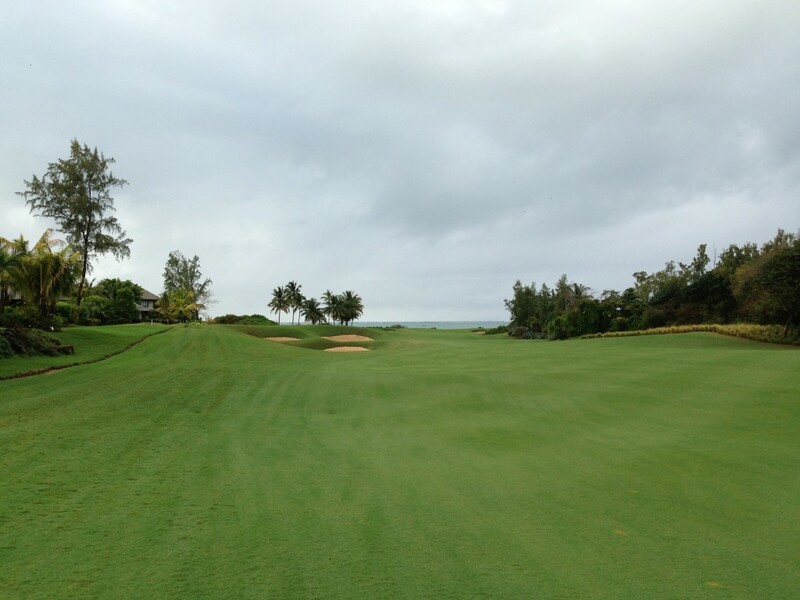 A beautifully designed par three with magical views of the lagoon and ocean is easily reached with a short iron. The green is built on a slight pinnacle, meaning if you miss the dance floor, your ball might roll a fair distance from the putting surface. The flora surrounding this hole, when in bloom, creates a canvas of colour for golfers. With a low degree of difficulty, this par three is both a great way to bring the back nine to a near end and offers a good chance to claw a shot back. Par is expected even though the green is a narrow long target. The bunkers near the green do prove to be a distraction, but with the right club in hand, the soft Four Seasons greens are very inviting.